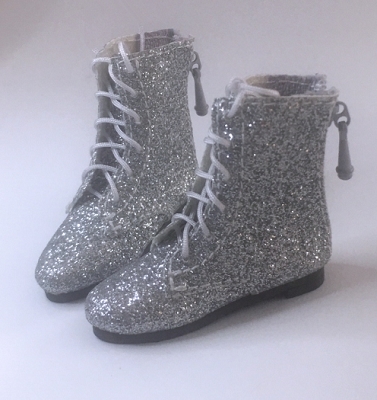 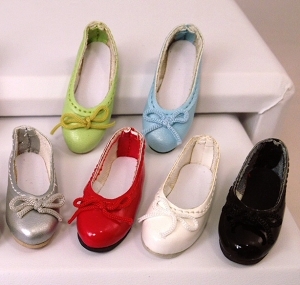 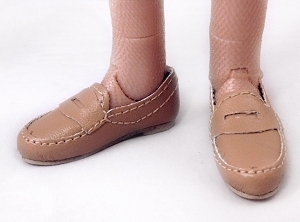 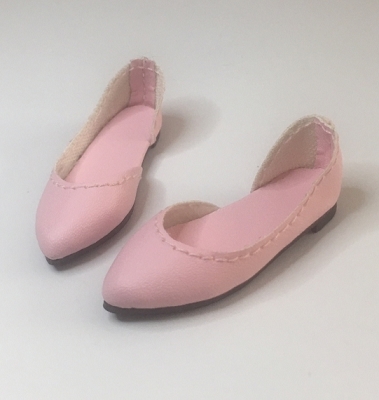 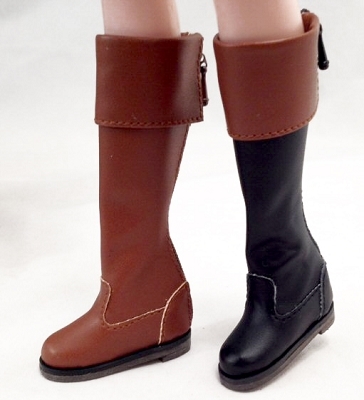 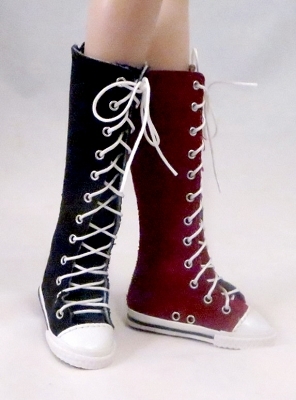 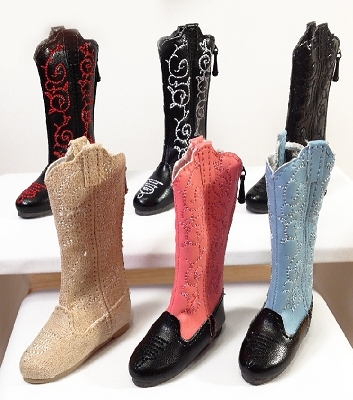 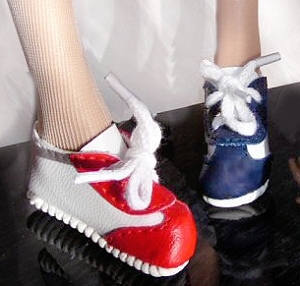 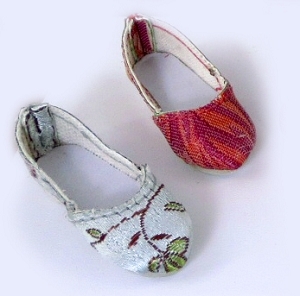 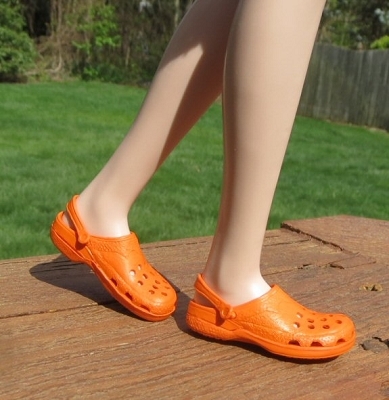 These shoes are approximately 43mm long x 15mm wide on the outside which is 2 - 4mm larger than the doll's foot. 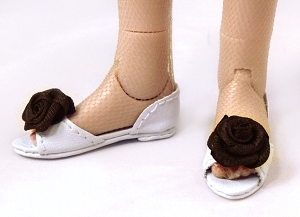 They will fit the following dolls: Flat Foot/Nu-Mood Tyler and friends, Tonner teenage body, Ellowyne flat feet, Poppy Parker/FR16 flat feet, Chic Line flat feet ( will be tight with no stockings), AvantGuard flat feet, newer Marley/Patience body, FR Homme, and Alex flat/convertible feet. 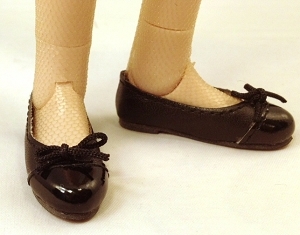 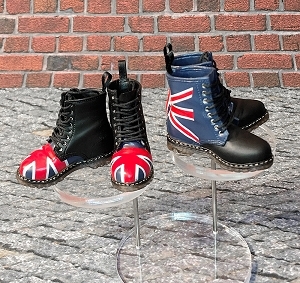 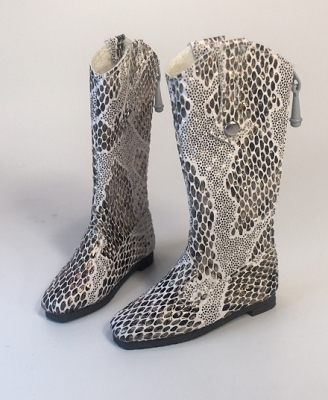 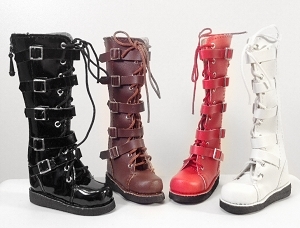 Most shoes will also fit the older Tonner 12" Marley/Agnes body and some will fit Horsman Vita. 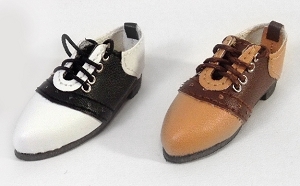 Please see notes on individual styles for exceptions.